If you’ve been a regular reader for a while, you know that I move around a lot. Actually, we have moved across the country twice in the last year alone (to Seattle from our Jacksonville house and unexpectedly, back to Jacksonville about 9 nine months later, into an apartment a few miles away from our house). With those moves, comes a lot of decorating / redecorating, which is always fun, of course. And for the most part, each time we move our furniture from one home to the next, we change some things (put this chair in that room as opposed to where it was before), bring in a few new pieces, etc. But one room that we don’t change much from home to home is our bedroom. We like to make that space restful, with minimal furniture, but always keep it functional in other ways as well. Ex: In the past, my desk was in our bedroom and I did the majority of my work there (and loved it). Now, we have a little reading nook instead. So essentially, the bedroom is always a room that pulls double duty for us, and in a smaller home that can make a world of difference. So how can this concept work for you? Look for calming paint colors and soft textures (like fuzzy pillows and soft blankets). And consider a reading nook or a place aside from the bed where you can sit and curl up with a good book. Something that gets the mind turning in a different direction other than sleep-mode. Think relaxing but not in a ‘must turn brain off’ kind of way. Amazing artwork is the first thing that comes to my mind when I think about inspiration, but everyone is different. 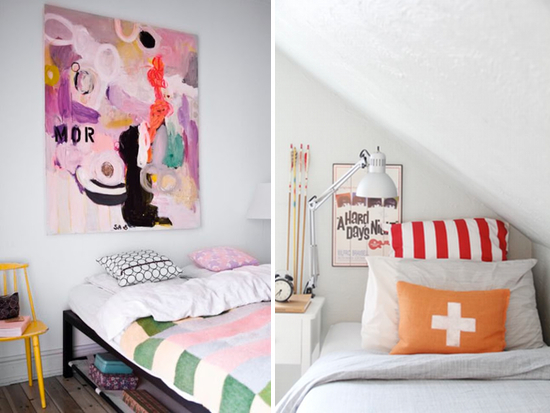 So if art isn’t your thing, fill the bedroom with some of your favorite decor items from around the house. Nothing sparks creativity like visual stimulation. If you’re surrounded by the things you love most, inspiration will follow. Tip: Keep it minimal when bringing in new items (just a few items will do). You don’t want to overwhelm the room with clutter. If you’re looking for a space you can put on your thinking cap, add a small desk and a chair that tucks in when not in use. 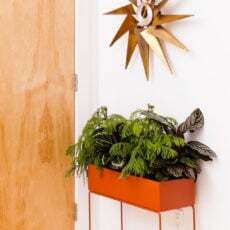 Look for a desk that does not have a lot of depth (doesn’t stick out very far from the wall), and you’ll save space while adding a creative area for when the moment strikes. I think I’m a combination of all three of these room types, personally, but no matter what kind of space you are hoping to create in your bedroom, one thing is certain: a good night’s sleep can be a crucial to a good morning (and afternoon for that matter). So make sure you choose a comfy mattress and soft sheets. You spend about a third of your life sleeping. Is that crazy or what? And for tips on how to get a good night’s sleep, visit Silentnight for advice from Dr. Nerina Ramlakhan. Looks like I’m breaking rule # 3 and 6, but I definitely like rule #1. What about you? Disclaimer: I was compensated by the advertiser, Silentnight beds, for this editorial feature. All opinions and ideas, however, are my own. Interested in having your own sponsored post on papernstitch? Visit the advertising page for more info. I wish I had room for a cozy reading nook! I like the idea of using a bedroom for some other purpose as well, but our bedroom is just too small (and too cold this time of year). 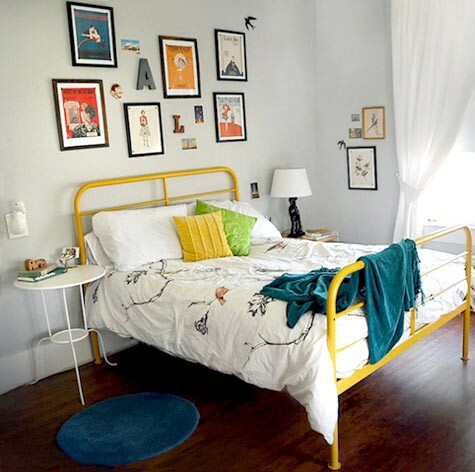 But this post makes me want to restyle our bedroom anyhow! You’d be surprised at what a little rearranging can do to a room featheringtodo. 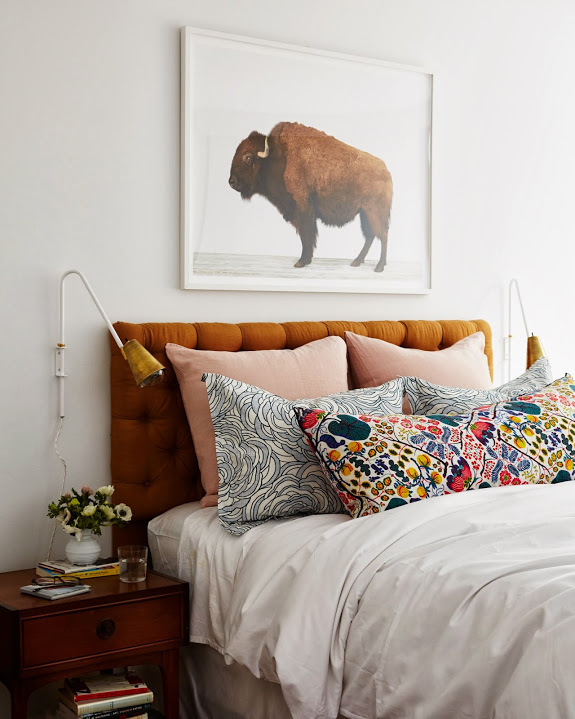 If you don’t have the space to add anything in the bedroom, rearranging the pieces you already have in there can make a world of difference to making the space feel fresh and new. Good luck! This came right in time, I’m in the middle of re-framing art, hanging things, and nesting at my apartment. My bedroom is definitely transforming into a space full of inspiration. Reading nook will be added soon to fill the blank spots 🙂 ! Oh cool Van! 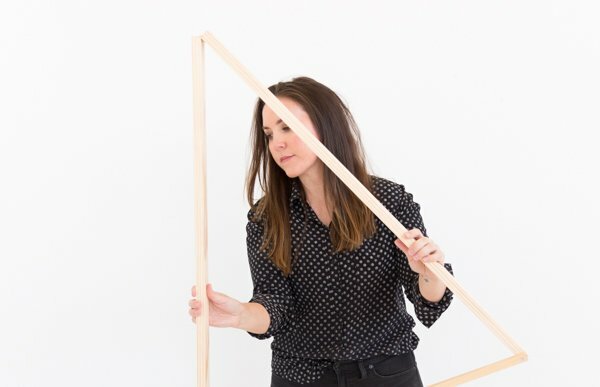 Will you be posting photos on your blog? I’d love to see how it turns out. I was just thinking about restyling my bedroom, and getting back to basics. I love the peaceful/relaxing vibe, and those soothing spaces are so inspiring! 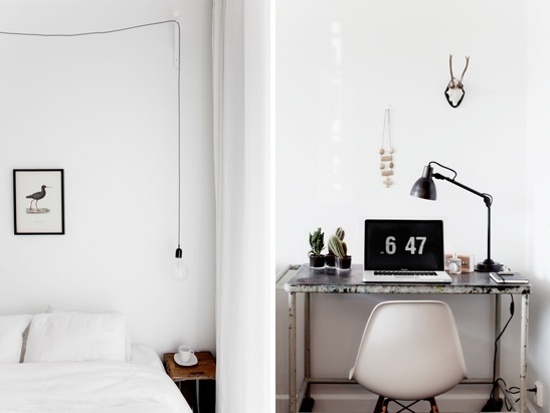 Love, love white rooms. Great photos. these are amazing spaces! 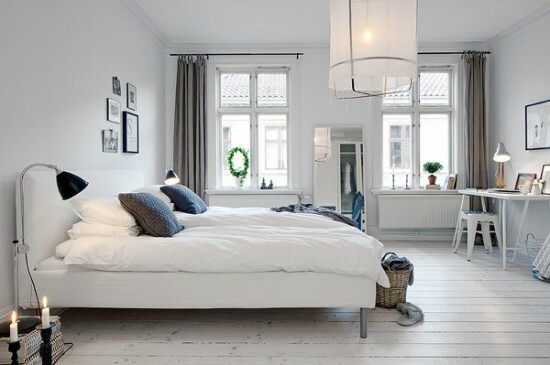 I love the white bedroom! Extraordinary photos. I love white furniture and the simplicity of rooms who adds space and style.